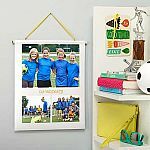 Walgreens is offering FREE 8x10 Enlargement Photo Print with code "FREEHOLIDAY". Free in-store pickup. But making people aware of negative things about a company, I guess you don't want them to hear about. Shows how much you care I guess! //@anonymous: dealsea is a place discussing deals for products, not services for a company. //@Anonymous: When someone has an opinion about a company I've noticed Dealsea won't post it, interesting! dealsea is a place discussing deals for products, not services for a company. //@Anonymous: When someone has an opinion about a company I've noticed Dealsea won't post it, interesting! When someone has an opinion about a company I've noticed Dealsea won't post it, interesting! 8R //@anonymous: 8X10 //@anonymous: what is the size? 8X10 //@anonymous: what is the size?